Fewer and fewer Americans are watching cable entertainment programming on a live-plus-same-day basis these days, a fact which maims their Nielsen ratings. News networks, on the other hand, continue to thrive on the Nielsen ratings front. That’s due in part to a made-for-TV presidency, combined with the fact that news is best viewed live and isn’t being impacted by the time-shifting phenomenon that has changed how scripted and non-scripted programming is consumed. It’s probably no surprise then that to see that Fox News Channel marked its 11th consecutive quarter as the most-watched network in basic cable, and its 69th consecutive quarter as the most-watched network on cable news. That said, FNC posted audience declines vs. Q1 of 2018. MSNBC was up slightly in Q1 2019 among total viewers during prime time (+3 percent) and in total day (+8 percent), but fell off in terms of its performance during both of those dayparts among adults 25-54. CNN posted +7 percent growth in prime time audience, and held even in total day vs. Q1 of last year. However, as was the case with its competition, CNN was way down in adults 25-54 vs. last year. ESPN was the third-most-watched basic cable network in Q1 of this year, yet was -7 percent in total prime time viewers vs. the prior Q1. HGTV remained No. 4 in prime time, yet was -9 percent in total viewers. TBS, coming in at No. 5, was -11 percent in prime time viewers vs. Q1 2018. Nickelodeon, which had been No. 1 or No. 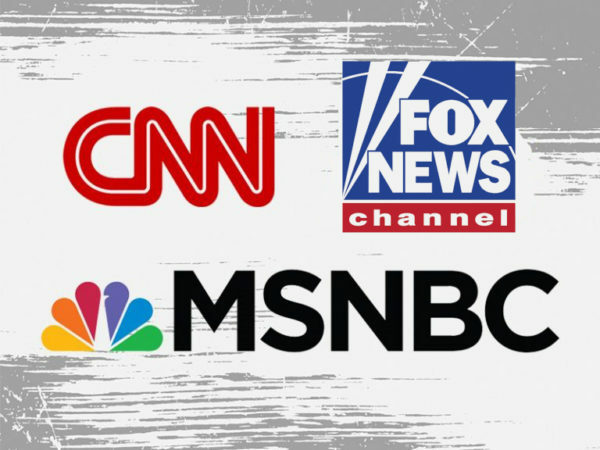 2 in total day viewers for a long time, is sitting in third place these days, due in part to how MSNBC has taken off during the Trump presidency. Nickelodeon, perhaps more than any other cable network, is seeing a Nielsen ratings drop off due to emerging technologies. Fewer kids (and their parents) are watching Nick on their TVs. They’re watching Nick content on iPads, and other mobile devices. The network was -18 percent in total viewers this past quarter vs. Q1 2018. Hallmark Channel experienced the most impressive total viewer growth of the top basic cable networks. Hallmark was +35 percent in total prime time viewers vs. Q1 2018, and +18 percent in total day viewers. It earned a top 10 ranking for Q1 in both dayparts. It was barely in the top 15 at this time last year. READ MUCH MORE U.S. TELEVISION NEWS HERE.